DECEMBER 9th 2009 @ MassArt Film Society! 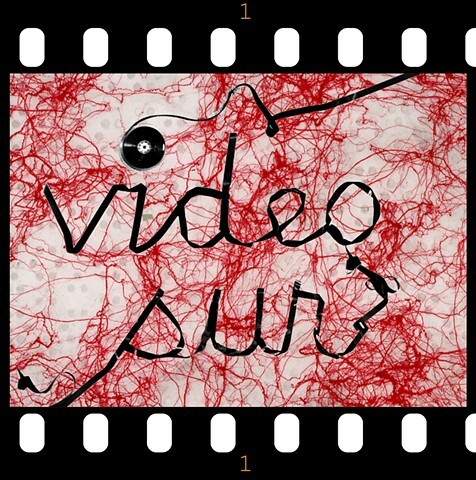 The MassArt Film Society and Discordiafilms present VideoSur II, a selection of Latin America experimental video that includes documentation of performance and art actions, noise video and stop motion animation from Chile, Argentina and Mexico. Inspired by the spirit of exchange in the Americas, VideoSur II is the second of a series of video showings that convey the complex cultural vision of Latin American artists. MassArt Film Society has been screening experimental cinema at the Massachusetts College of Art & Design for over thirty years, bringing the foremost avant-garde cinema to Boston under the direction of the filmmaker and professor Saul Levine. VideoSur II is co-curated by Anabel Vázquez, Julio Lamilla & Liz Munsell. The screening will be held Wednesday, December 9th at 8 pm in MassArt's Film Dept., Screening Rm 1 (621 Huntington Ave.) A suggested donation of $7 will be collected at the door, but no one will be turned away for lack of funds.